A novel method to rapidly and cheaply 3D-print electrical circuits has been developed by researchers from Georgia Tech, the University of Tokyo, and Microsoft Research. For about $300 in equipment costs, anyone can produce working electrical circuits in the 60 seconds it takes to print them using commodity inkjet printers and off-the-shelf materials. The technique, called instant inkjet circuits, allows for printing arbitrary-shaped conductors onto rigid or flexible materials and could advance the prototyping skills of non-technical enthusiasts and novice hackers. Recent advances in chemically bonding metal particles allowed the researchers to use silver nanoparticle ink to print the circuits and avoid thermal bonding (sintering), a time-consuming and potentially damaging technique due to the heat. Printing the circuits on resin-coated paper, PET film, and glossy photo paper worked best. Researchers also made a list of materials to avoid, such as canvas cloths and magnet sheets. “Everything we introduced in our research is available on the market and makes it possible for people to try this at home,” said Yoshihiro Kawahara, Associate Professor at the University of Tokyo and the primary investigator who developed the methodology while in Atlanta. Design the circuit using desktop drawing software, or even a photocopy of a drawing. Print on inkjet printer using silver ink. 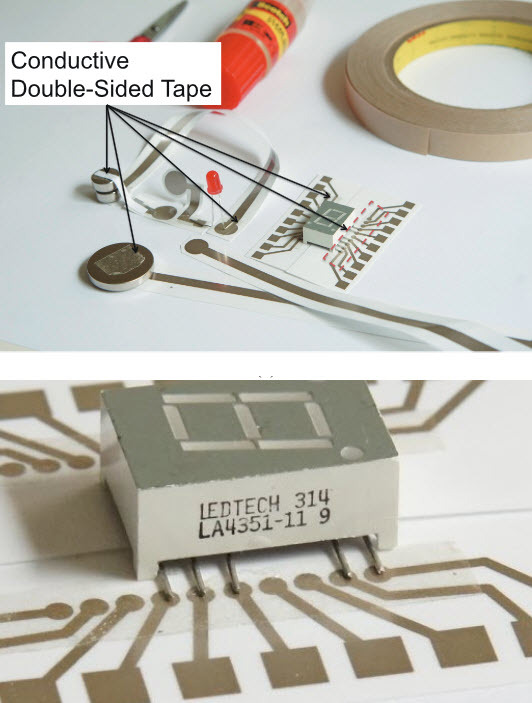 Attach electronic components to the circuit using conductive double-sided tape or silver epoxy adhesive. The homemade circuits could allow tinkerers to quickly prototype simple calculators, thermostat controls, battery chargers, capacitive-coupled input devices, or many other electronic devices. “Using this technology in the classroom, it would be possible to introduce students to basic electronics principles very cheaply, and they could use a range of electronic components to augment the experience,” said Steve Hodges, a team member from Microsoft Research. The research paper, “Instant Inkjet Circuits: Lab-based Inkjet Printing to Support Rapid Prototyping of UbicComp Devices” (open access), won a best paper award at the the 2013 ACM International Joint Conference on Pervasive and Ubiquitous Computing conference Zurich, Sept. 8–12. “Inkjet-printed electronics have been around for the last ten years,” Ben Cook, Ph.D., co-author and a student in Electrical and Computer Engineering at Georgia Institute of Technology, explained to KurzweilAI. “However, inkjet-printers which were able to print electronic inks were expensive — on the order of $50 to $100K. This is the first time printing electronic inks has been demonstrated with a start-up cost of several hundred dollars — less than the cost of a new cell phone. Rapid lab-based prototyping: In both academic and industrial sectors, prototyping is mostly performed in simulation environments due to the time and cost of electronic circuit board manufacturing. However, by enabling the rapid and low-cost manufacturing of inkjet-printed circuit boards, researchers and product designers can work with physical circuits to fine-tune their final designs. This ability will great reduce the time-to-market for products and cutting edge research. This paper introduces a low cost, fast and accessible technology to support the rapid prototyping of functional electronic devices. 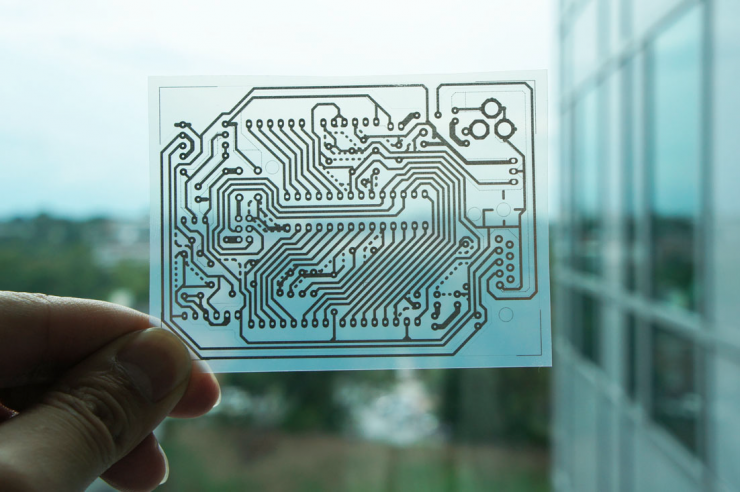 Central to this approach of ‘instant inkjet circuits’ is the ability to print highly conductive traces and patterns onto flexible substrates such as paper and plastic films cheaply and quickly. In addition to providing an alternative to breadboarding and conventional printed circuits, we demonstrate how this technique readily supports large area sensors and high frequency applications such as antennas. Unlike existing methods for printing conductive patterns, conductivity emerges within a few seconds without the need for special equipment. 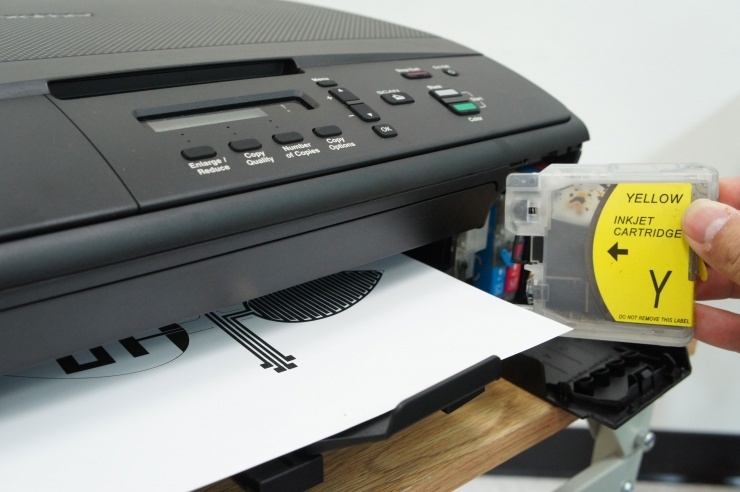 We demonstrate that this technique is feasible using commodity inkjet printers and commercially available ink, for an initial investment of around US$300. Having presented this exciting new technology, we explain the tools and techniques we have found useful for the first time. Our main research contribution is to characterize the performance of instant inkjet circuits and illustrate a range of possibilities that are enabled by way of several example applications which we have built. We believe that this technology will be of immediate appeal to researchers in the ubiquitous computing domain, since it supports the fabrication of a variety of functional electronic device prototypes.